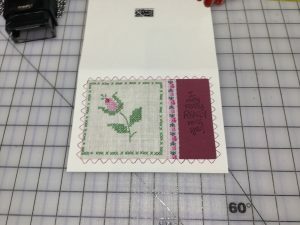 Where there is a card I have stitched on the front and through the paper I cover the stitching on the inside with pretty paper. So I have to choose and cut a piece for every card. Covering the stitching with paper. Then I add my stamp on the back of the card with my name and website. And finally they get paired with an envelope, put in a protective sleeve and put in baskets turned either vertically or horizontally depending on the format. 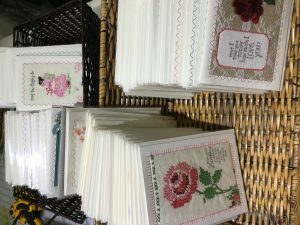 Believe it or not there are still a couple of types of cards to make and they all need to be priced. Almost there! One more post to come about this round of cards! Card Making Final . . . for now! 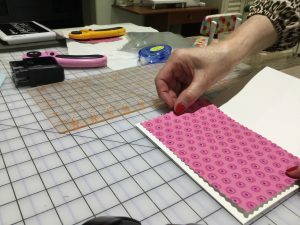 Subscribe to HeartandSewTX.com for sewing fun and tutorials as well as inspiration! 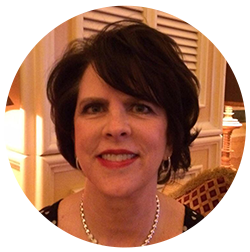 My name is Susie Black and I live in the beautiful Rockport-Fulton community in South Texas. 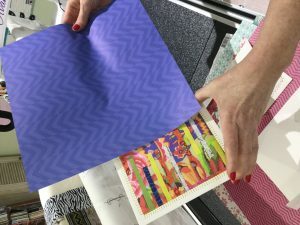 I am passionate about anything fabric related - sewing, quilting, embroidery, fabric painting and especially fabric collecting! I love vintage fabrics, old linens, old samplers, hankies and neckties and I am always trying to incorporate these things into my work. I am a big believer in out of the drawer or attic and into the present where the memories these items invoke can come out and make new memories. It is my pleasure to share my ideas and enthusiasm with others. I make every effort to give credit to the source of my content if it is not my original design. Please do the same and link back to the original post on HeartandSewTX.com. This website and all its content are the copyright of HeartandSewTX.com. All rights reserved. Please do not reproduce or redistribute content of this site without written permission.